Sun., April 14, 2019, 2:30 a.m.
OLYMPIA – As the Legislature moves into the final phase of settling on a record $50 billion-plus budget – tough negotiations between the leaders of each party in each chamber and the governor’s office over different spending plans – school officials and employees are stepping up the pressure for added financial support for Washington’s public schools. The Spokane Public Schools district announced last Thursday it could lay off as many as 325 employees, teachers and other staff, before the next school year because of projected budget deficits. School librarians demonstrated on the north steps of the Legislative Building in early April, asking lawmakers for more money to keep school libraries open. There’s no question public schools will get more, legislators say – billions more than the state spent on public education over the past two years, which was a historic amount. “School districts overwhelmingly have more money than they had under the old system,” said Senate Minority Leader Mark Schoesler, R-Ritzville. By old system, he means the way the state and local taxpayers shared the cost of public schools before 2017, when the Legislature changed the law to comply with a 2012 Washington Supreme Court order to increase the amount the state provided for the basic education of its students. There’s a question, too, on when a final budget will pass. The Legislature is scheduled to adjourn its 105-day regular session on April 28, but lawmakers haven’t met that deadline when crafting a two-year operating budget since 2009. In some years, they barely approved budgets before the state’s fiscal year ran out on June 30. But school districts are beginning to craft their budgets for the 2019-20 school year. In negotiations with their employee unions, many districts agreed to larger increases. The average raises in the Spokane Public Schools were 13.2%, which District Superintendent Shelley Redinger defended Thursday as necessary to stay competitive with nearby districts. Some districts agreed to higher contracts to avoid a teachers strike. At a recent news conference, Republican leaders questioned the ability of school officials to “hold their own” in contract negotiations with their unions. In some cases they opened negotiations when contracts hadn’t run out, House Minority Leader J.T. Wilcox said. The raises that districts agreed to pay cover not just teachers and staff who work in “basic education,” for which the districts receive money from the state. They also cover those who teach or provide services that must be paid from the district’s local levy money, which in many cases is decreasing. For Spokane Public Schools, their local levy revenue went from $66.7 million in the 2016-17 school year before the McCleary fix to $48.2 million for the current school year. In the same time, the state revenue to the district went from $274 million to $337.3 million. When the two sources of money are combined, the district had $45 million more this year than it did the year before the McCleary legislation passed. But it had less local levy money to pay for staff and programs beyond basic education. Spokane Public Schools has a property tax levy of $1.50 per $1,000. That’s the current limit for most school districts set by the McCleary “levy swap” when the Legislature raised the state property tax levy to pay for basic education and reduced the levy a school district can have. Because property values vary greatly across the state, the amount each of the state’s 295 districts can raise from the same levy rate differs significantly. To help equalize those differences, the state offers some districts with lower values extra money, known as local effort assistance, or LEA, which is set at $1,500 per student. The House and Senate both have proposals to change the limits on local school levies or raise the amount of LEA they can receive, but neither has come up for a vote in the full chamber. Senate Majority Leader Andy Billig, D-Spokane, said the proposed levy revisions will be debated in the coming weeks as the final budget comes together. The two bills take different approaches to raising the levy rate or the amount of LEA a school can receive, and nothing is final. 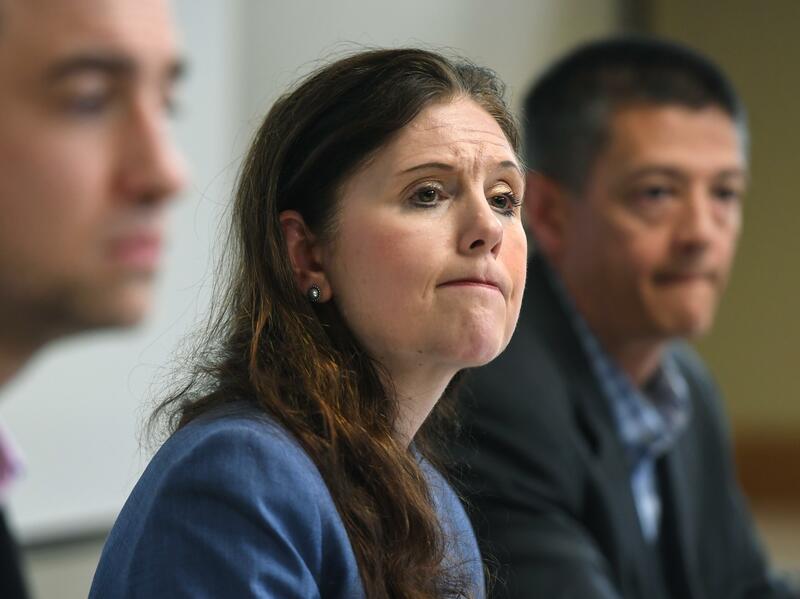 Raising the levy rate is unpopular with Republicans, who say the tax changes for the McCleary fix were sold in part as a tax cut for many districts because the local levies would go down by a greater amount than the state property tax levy was going up. “We need to respect the hard-working taxpayer,” Schoesler said. If school districts are allowed greater taxing authority, some richer districts with high property values could raise more money with small increases, but some poorer districts could be turned down in their efforts to increase the amount they can collect and spend on programs beyond basic education. The disparities among districts for what they can offer students will grow. But some Democrats argue the levy swap was a bad if necessary deal, and lawmakers always knew changes would be needed. Local levies give local voters the final choice over school programs they want, they say. Billig said he’s getting calls and emails from around the state from people who are asking that the Legislature not cut funding for education. He said he can confidently tell them it won’t. The Senate operating budget has an extra $5.2 billion for public schools above the 2017-19 levels, the House version of the budget has an extra $5.4 billion. Some of that money is designated for specific programs under the broad umbrella of basic education. One of those is special education, an area where Democrats and Republicans agree the basic education formula needs to be increased. The House would add about $875 million for special education compared to the previous two years, the Senate about $960 million, so the final number will be within that range, he said. The budgets propose different amounts for LEA and for salary adjustments, but are the same or close on other major expenses such as bilingual education and programs for highly gifted students. Education is slightly more than half the state’s operating budget, but that means the remainder covers many other state programs and departments, where differences must also be negotiated. If all the agreements aren’t reached on the budget in the next two weeks, the Legislature will go into overtime, with one or more special sessions that can last 30 days. The Legislature can’t adjourn for the year without adopting a budget, but it could quit if there’s no agreement on changes to the levy system that’s tied to the final budget. For the state’s biennial operating budget still to be under negotiation in mid-April is not unusual. The biennial budgets negotiated in 2011, 2013, 2015 and 2017 weren’t settled until June. This can create problems for school districts, which begin developing their budgets in the spring for the coming school years that start in September. But the announcement of potential layoffs by Spokane Public Schools comes earlier than any of those previous budget cycles. In 2011, the district said it was sending out layoff warnings to 238 employees on May 2, but later rescinded some of those notices on May 20, and others on June 9. In 2017, when some school districts said uncertainty over the budget and how the Legislature would change the levy system for McCleary was forcing them to write two separate budgets, Spokane Public Schools said it would write a single budget without layoffs, and tap its reserves if necessary to make up any difference between tax revenues and expenditures. Asked if he thought there was anything political to the timing of Spokane Public Schools’ mid-April warning of impending layoffs, Schoesler said Redinger, the superintendent, was probably just trying to be “proactive” with the situation she faces. Published: April 14, 2019, 2:30 a.m.